Finish: Our powder coat finishes undergo a thorough 5-step process that promotes the longevity and durability of our products. 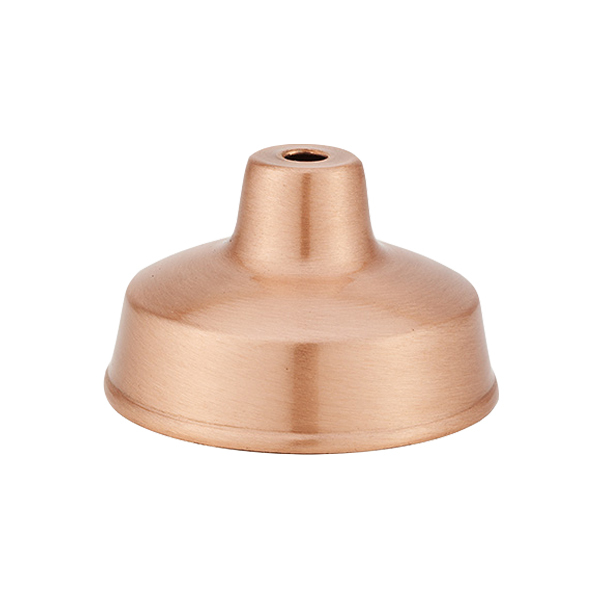 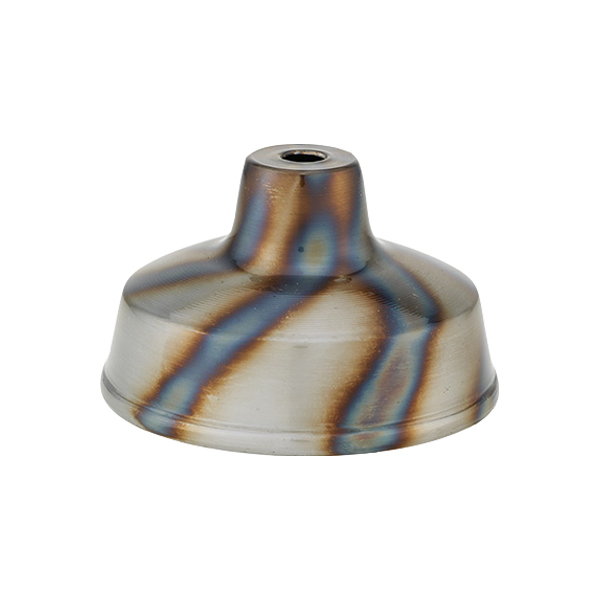 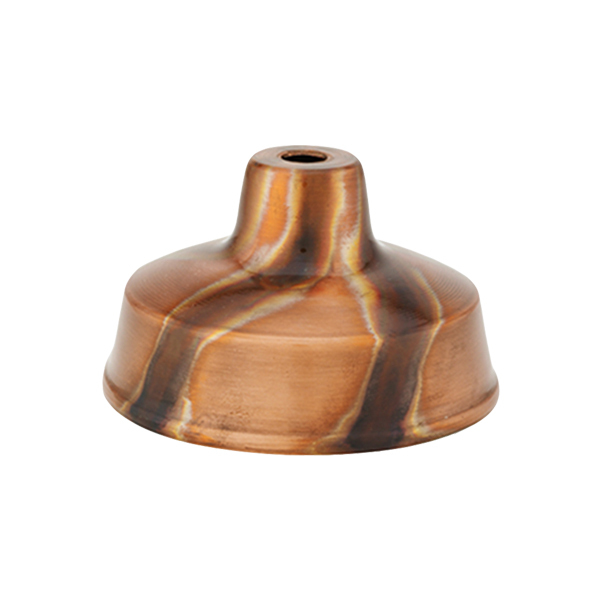 A diverse assortment of finishes is available. 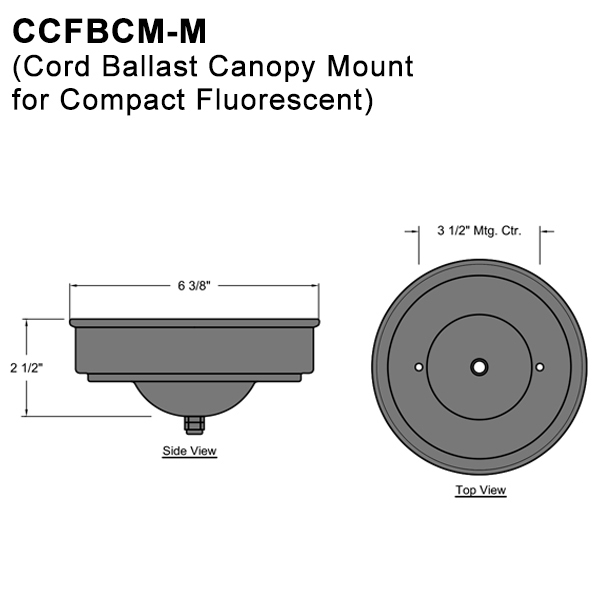 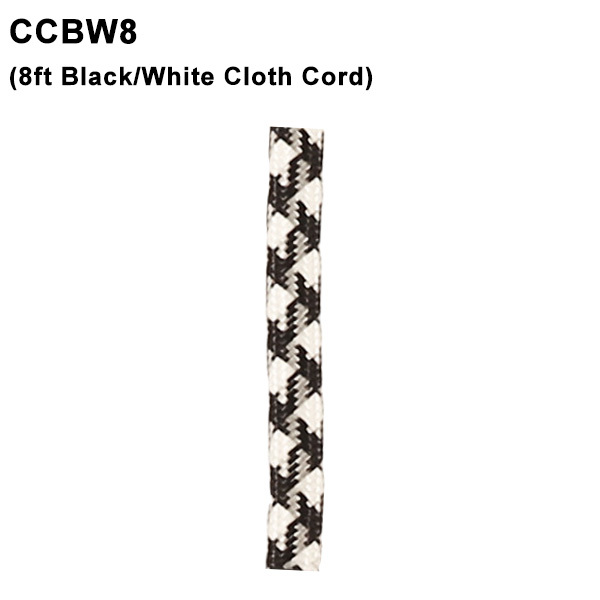 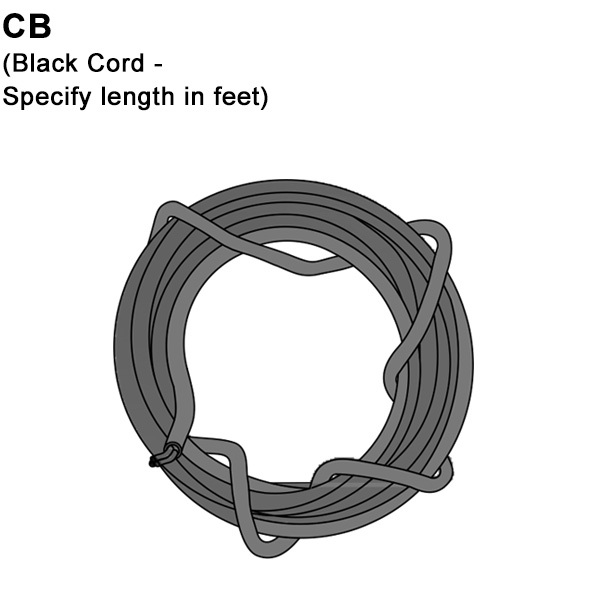 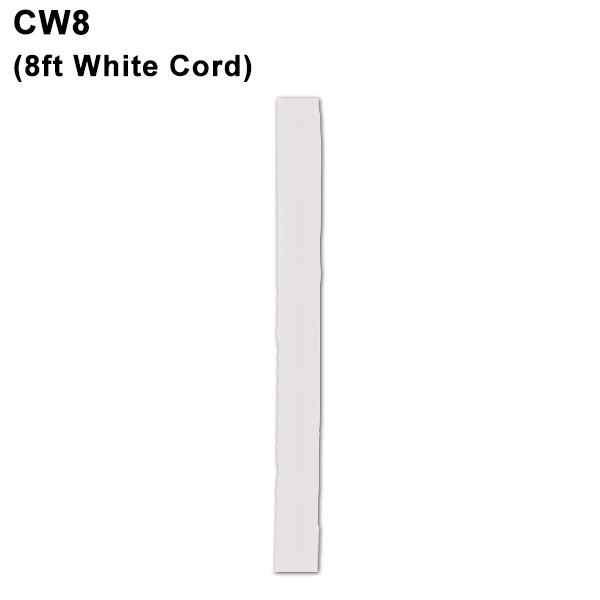 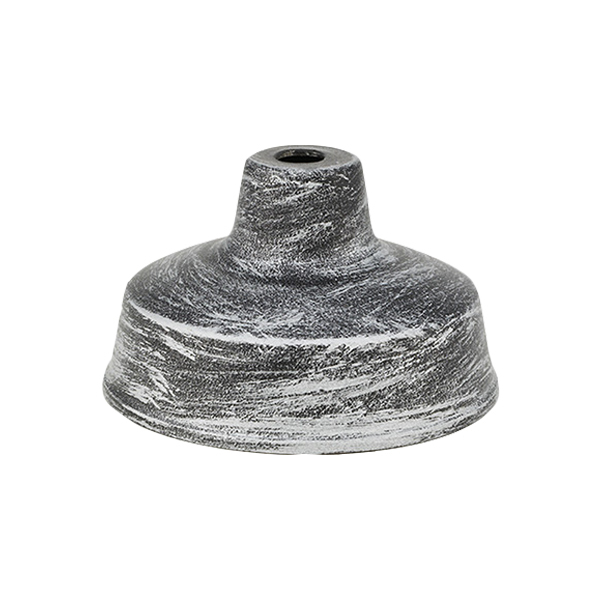 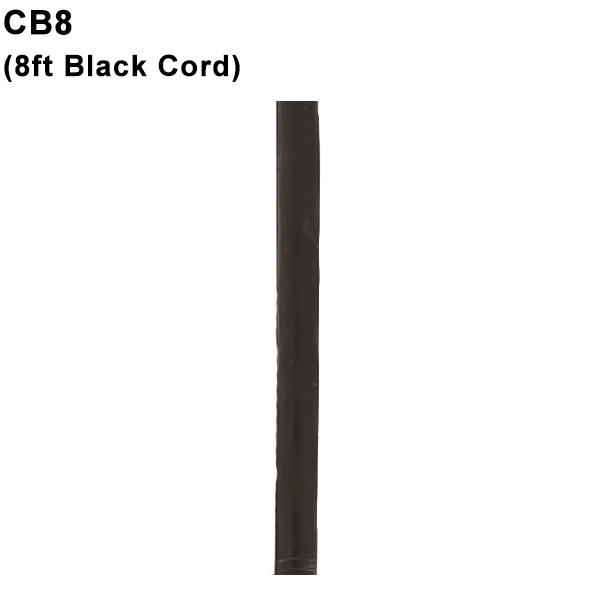 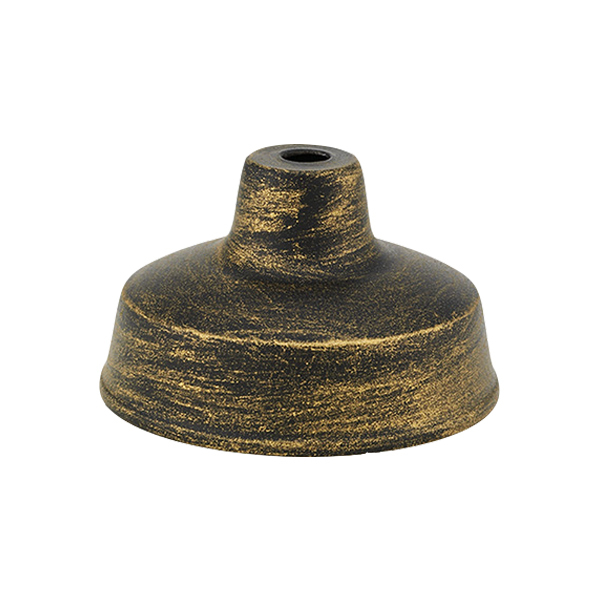 Mounting: Black or White Standard Cord. 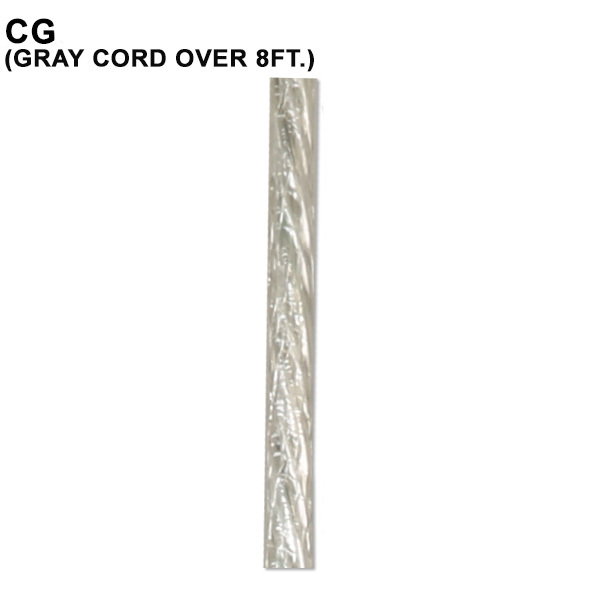 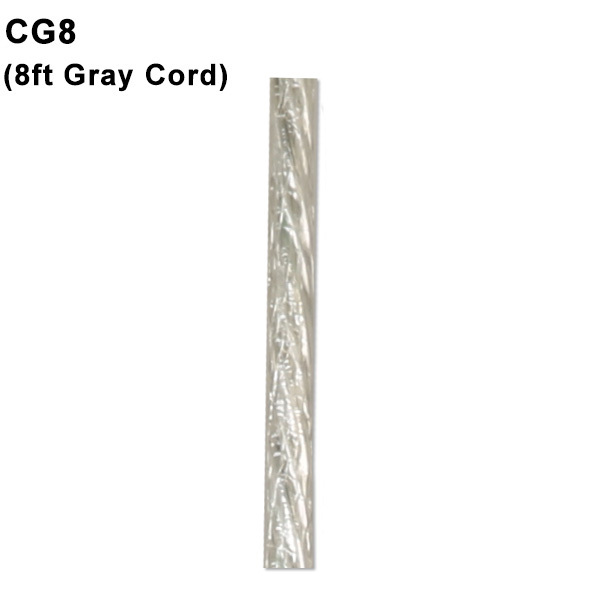 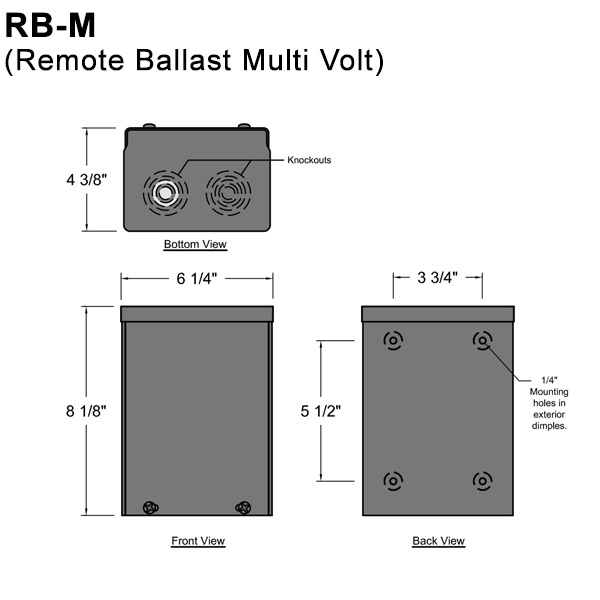 Additional cord length also available. 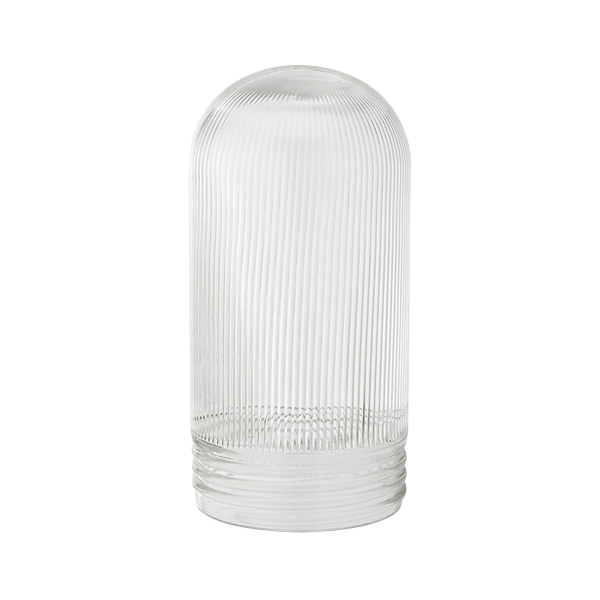 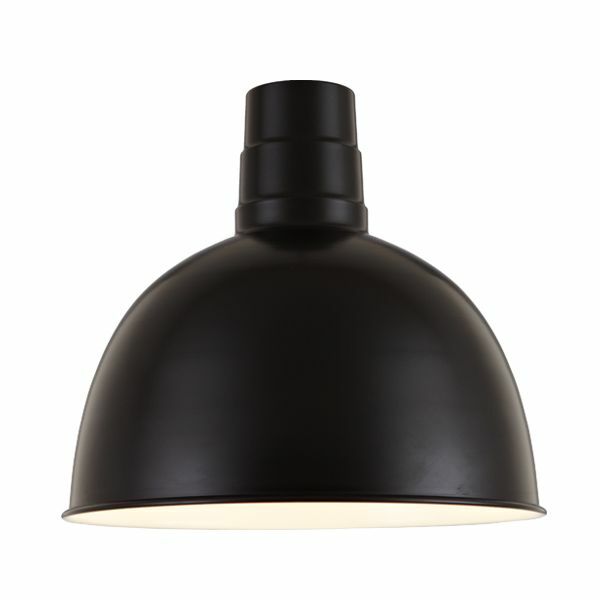 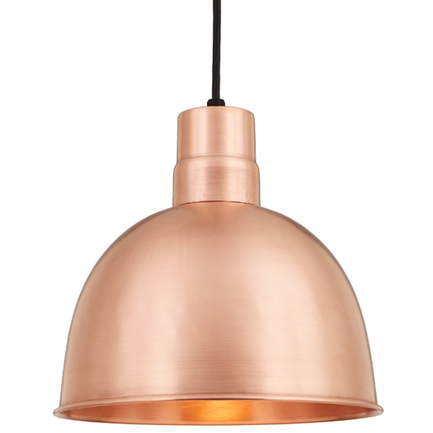 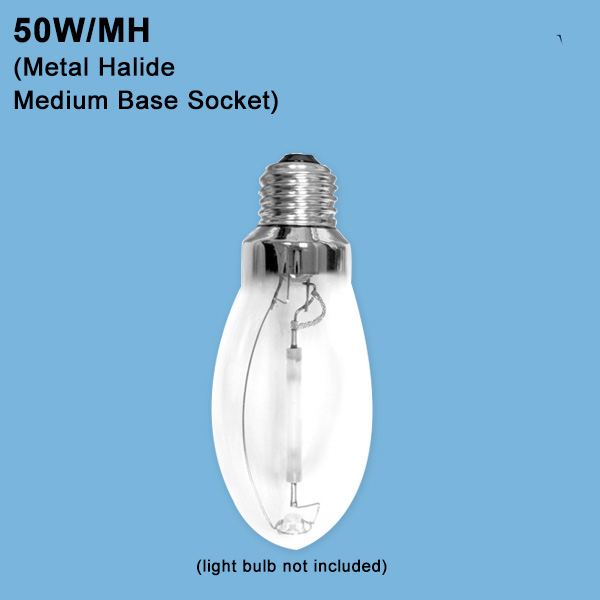 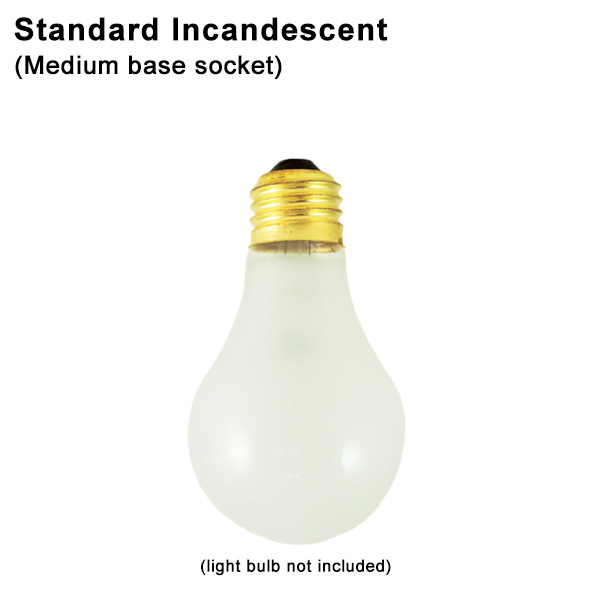 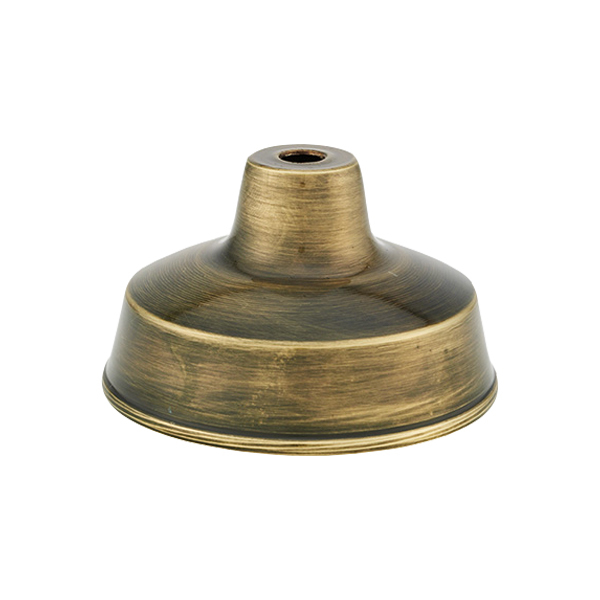 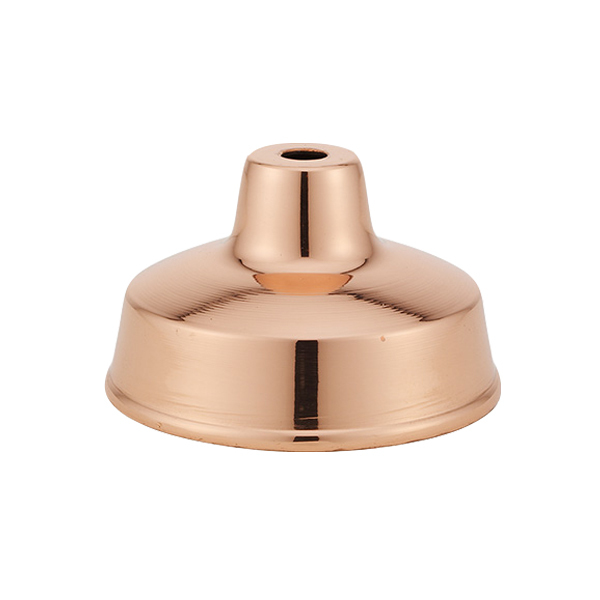 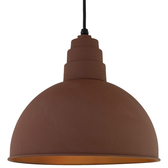 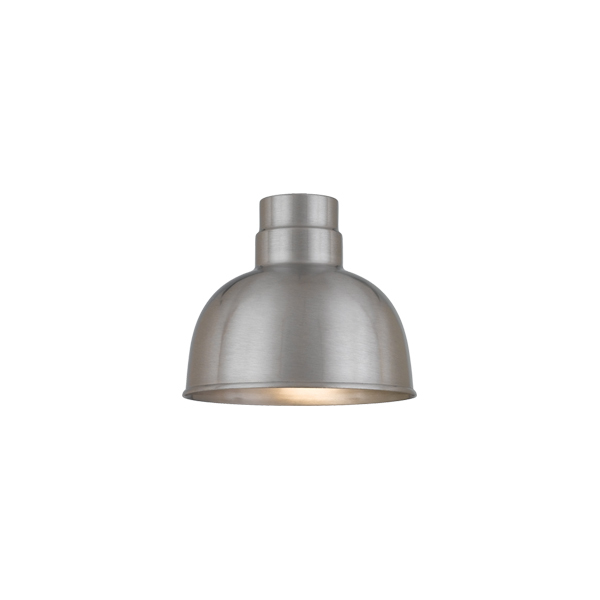 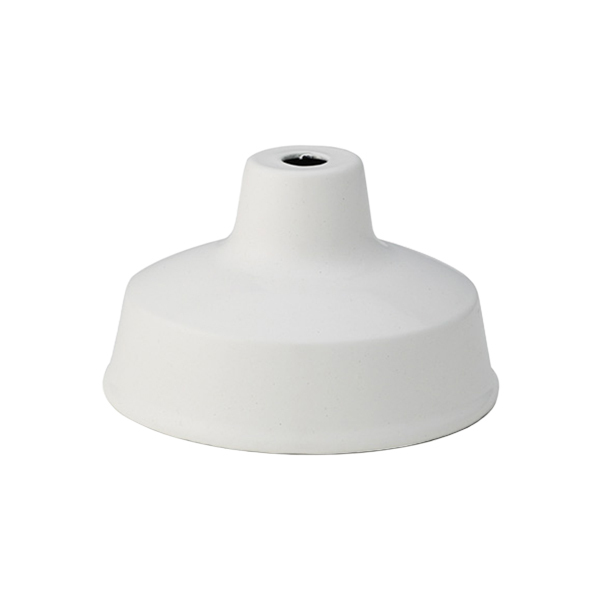 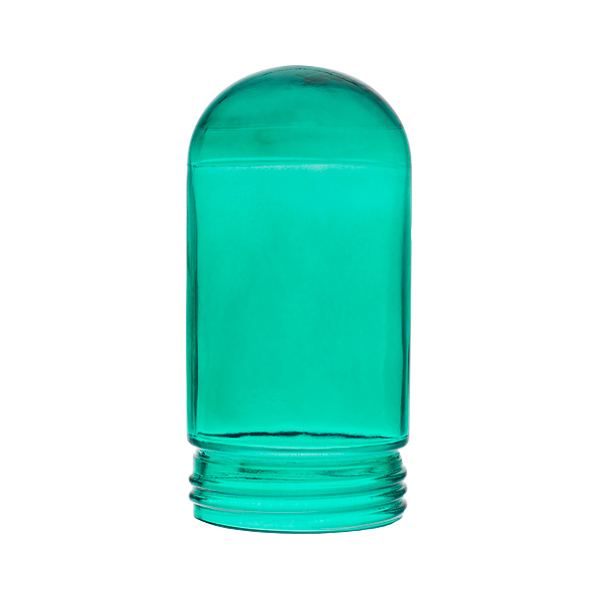 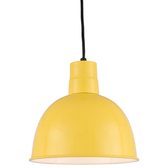 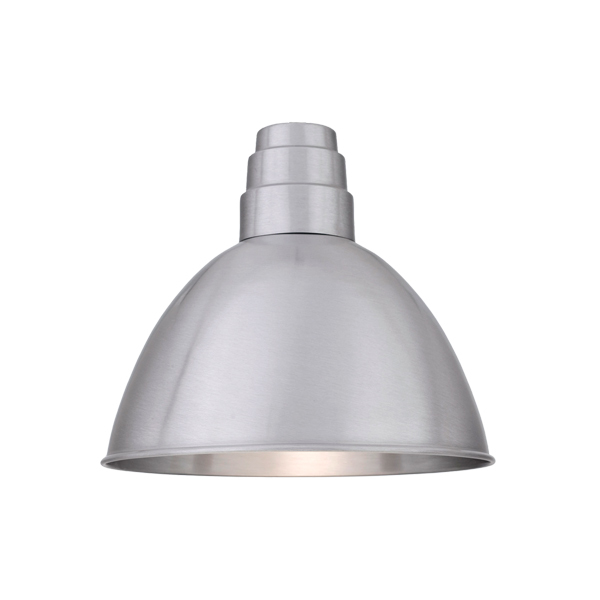 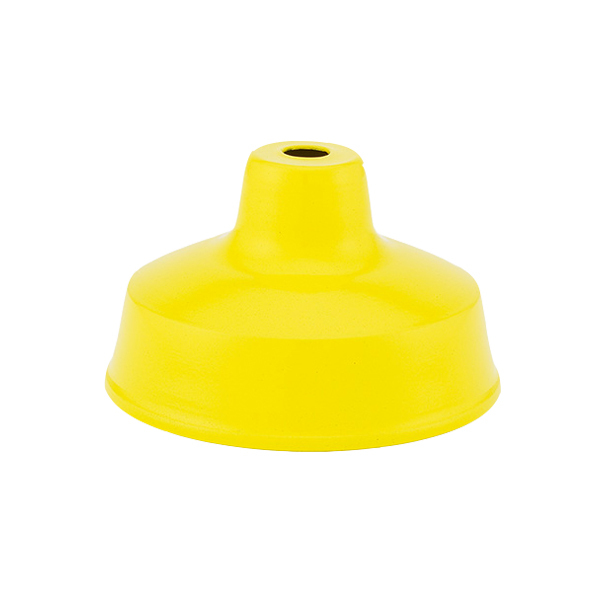 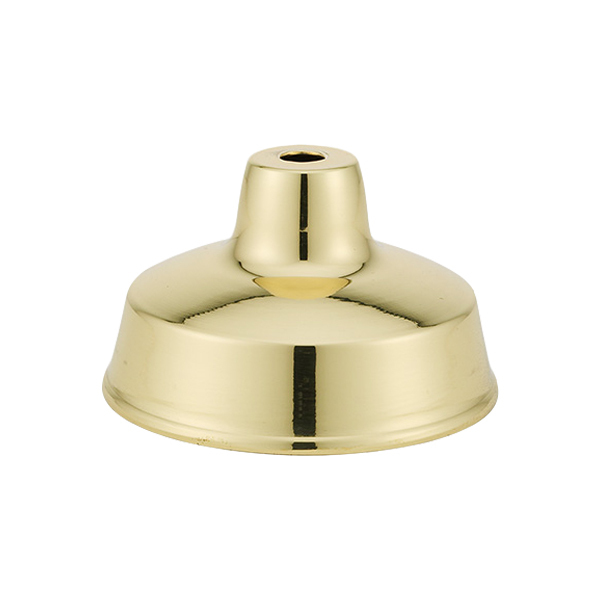 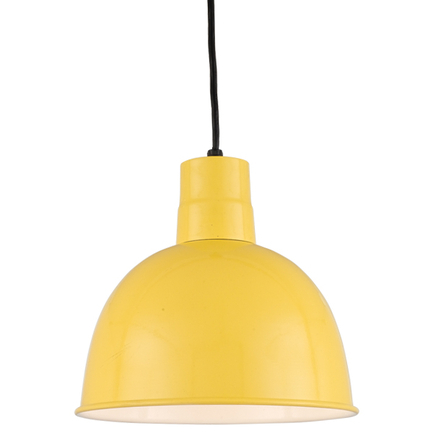 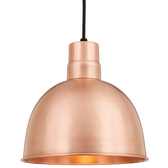 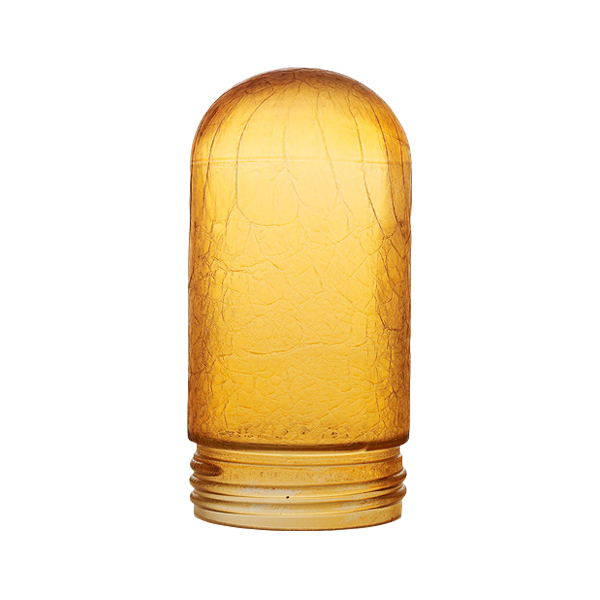 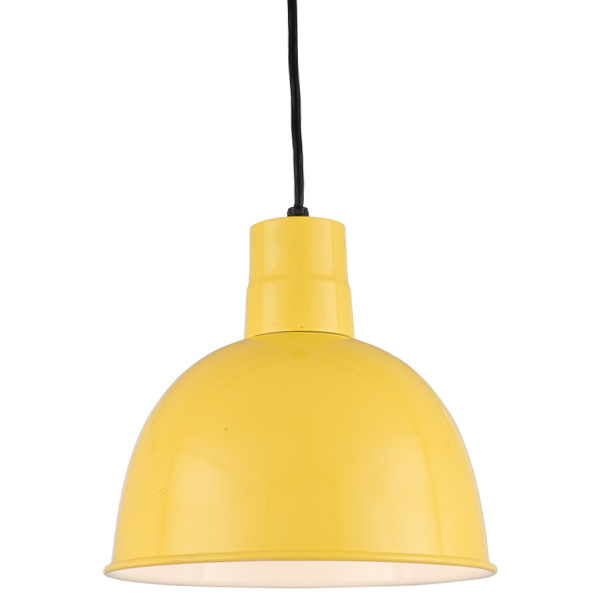 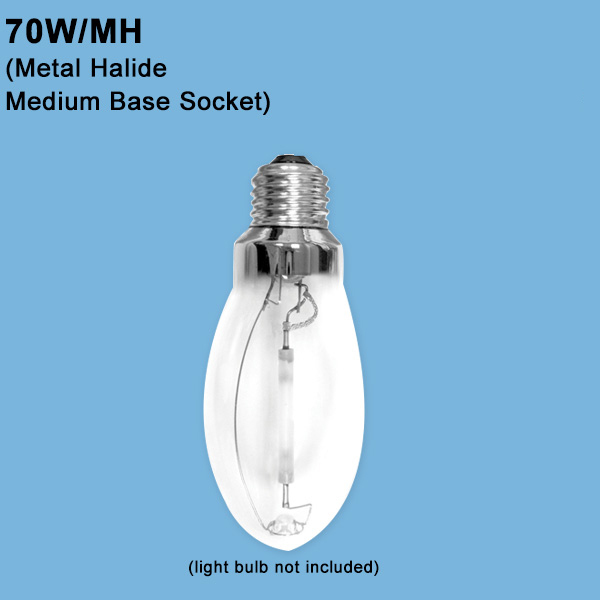 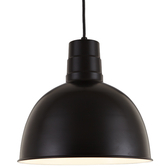 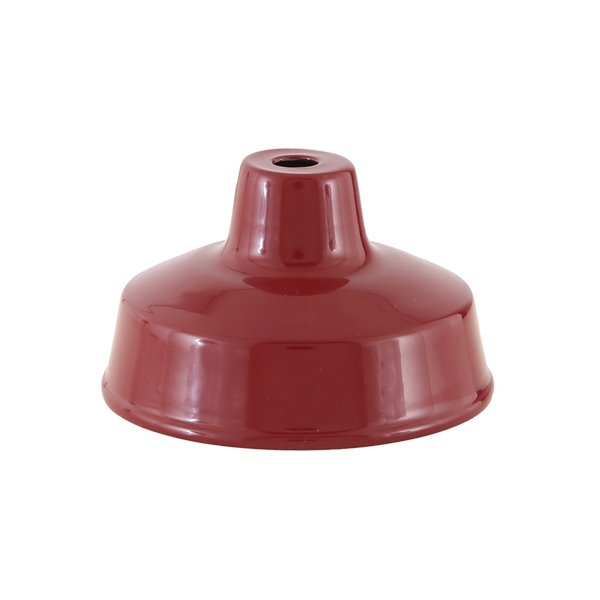 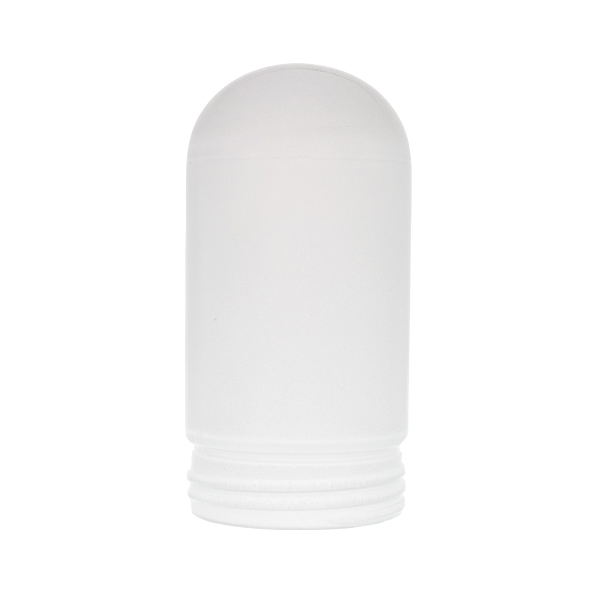 100 Watt Incandescent with Standard Medium Base Socket for shade sizes 7” & 8”. 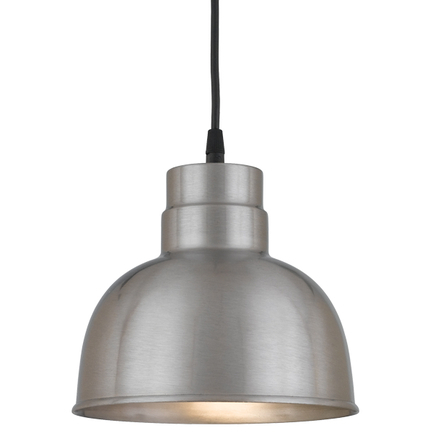 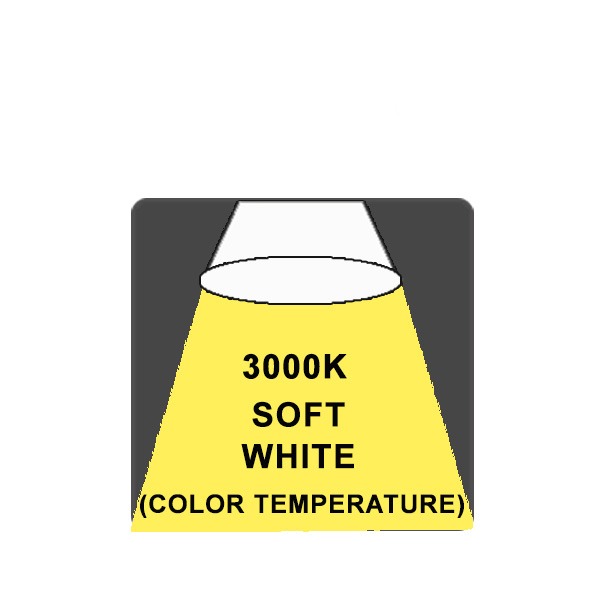 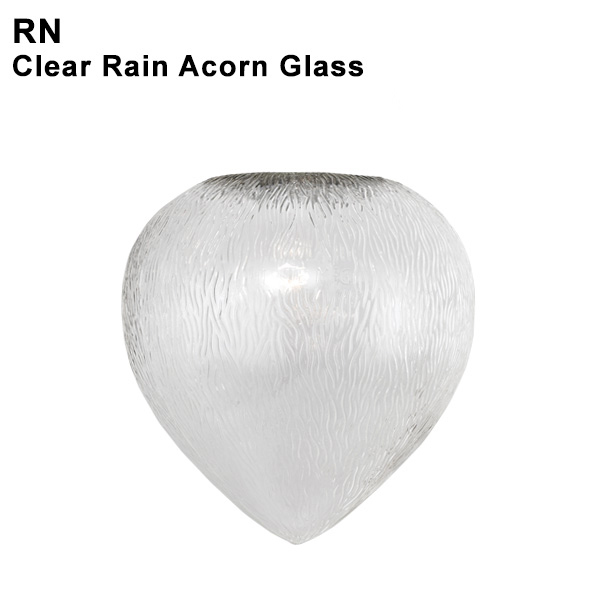 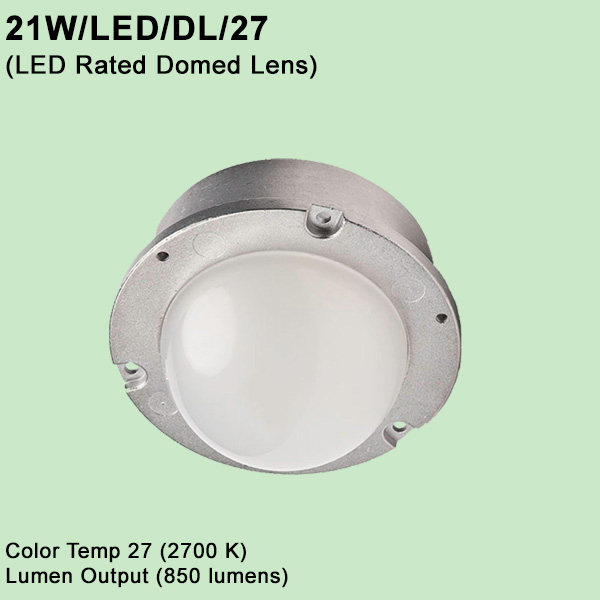 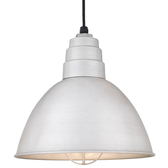 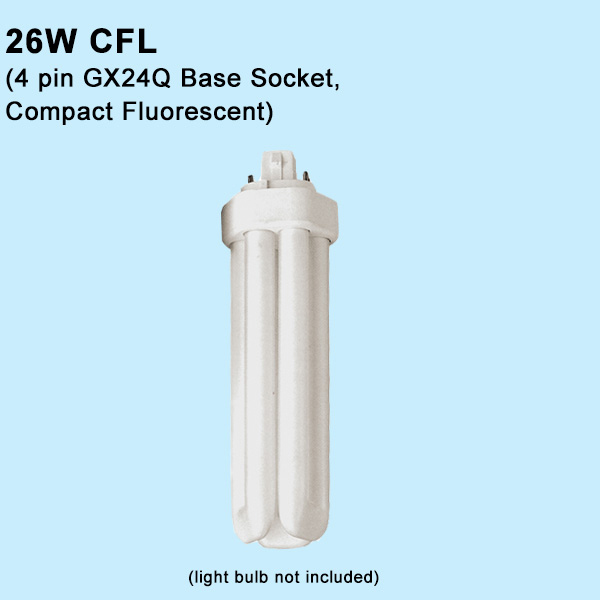 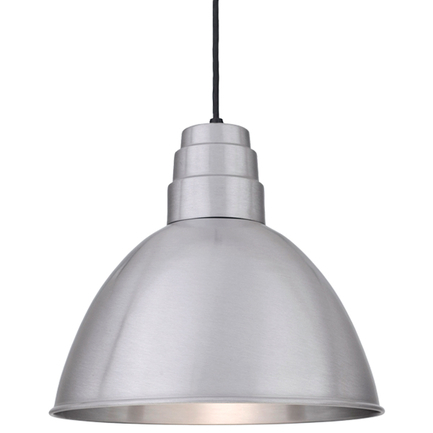 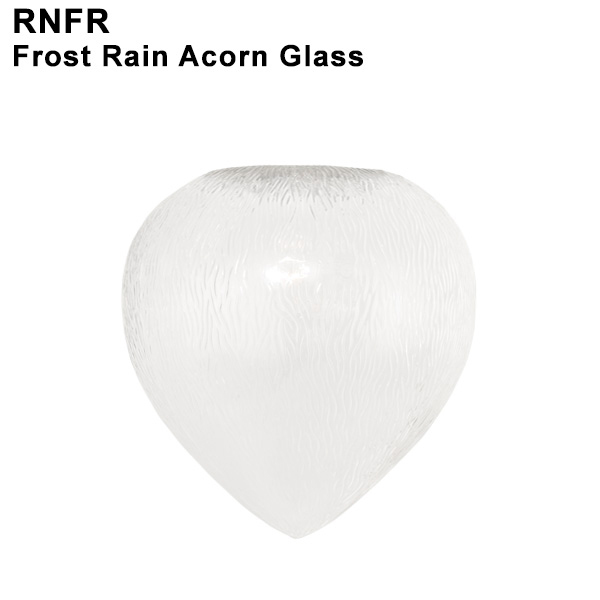 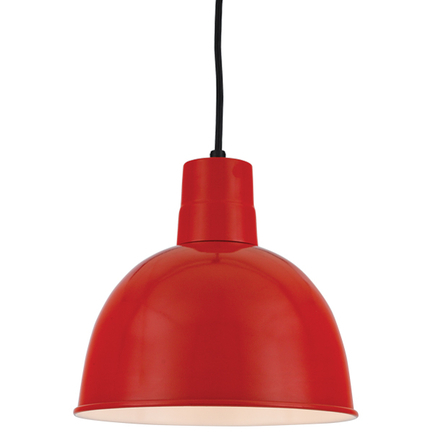 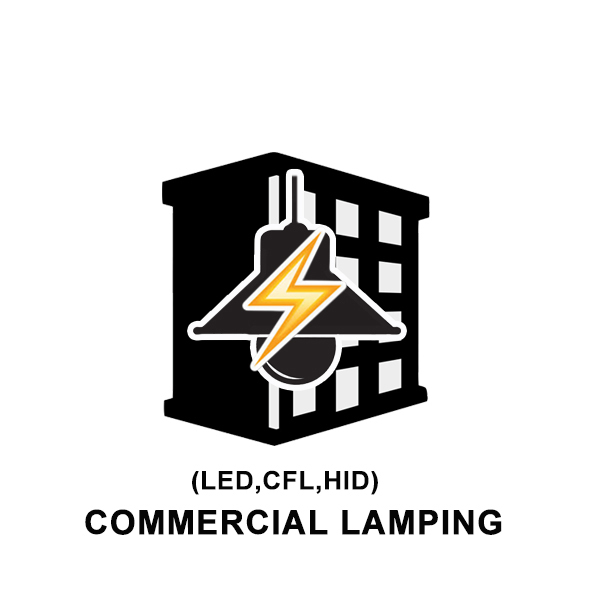 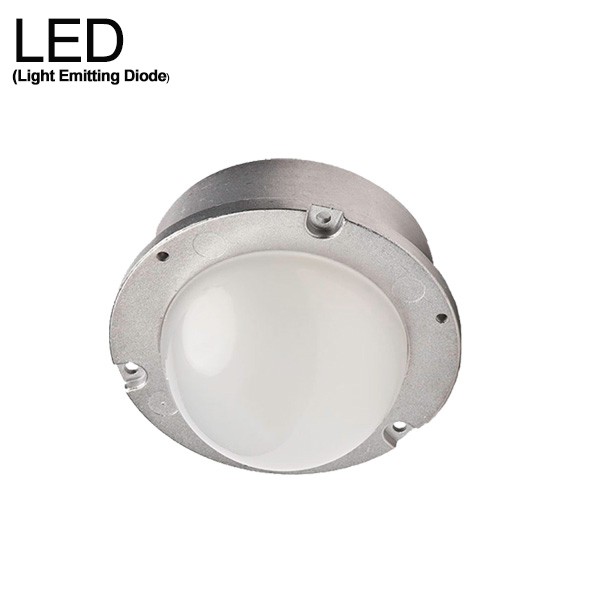 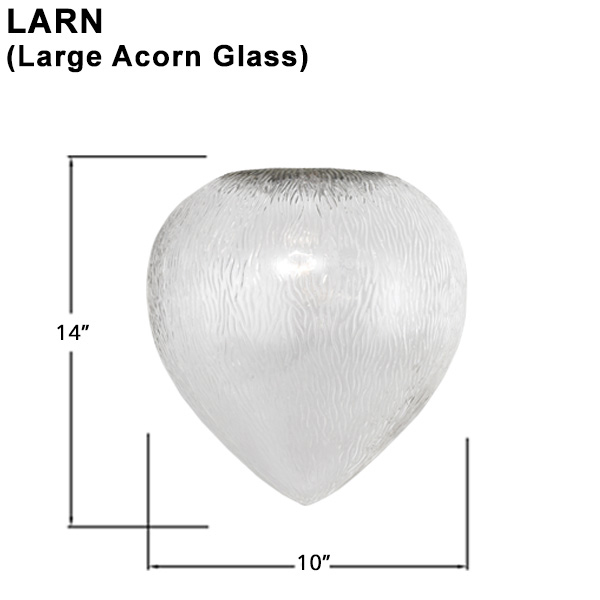 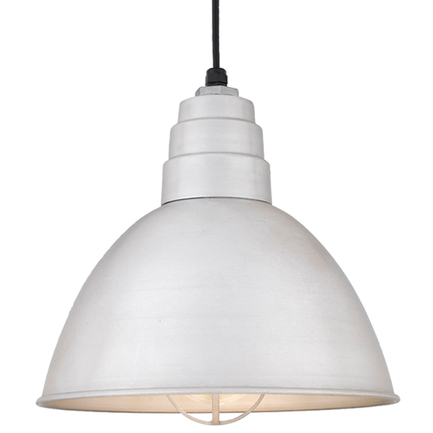 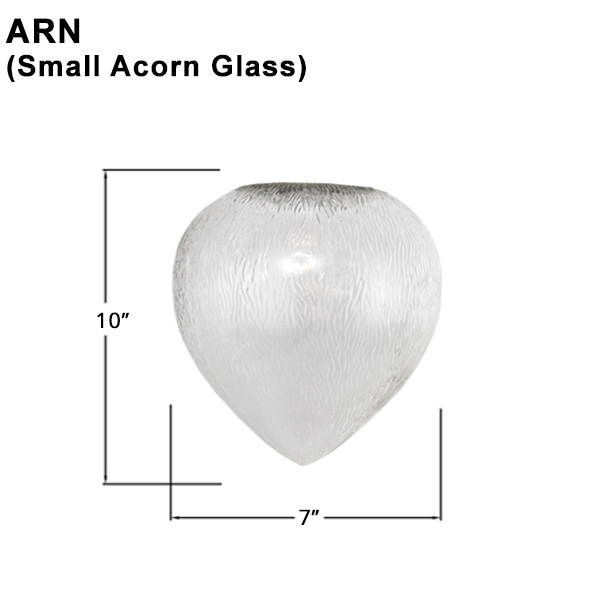 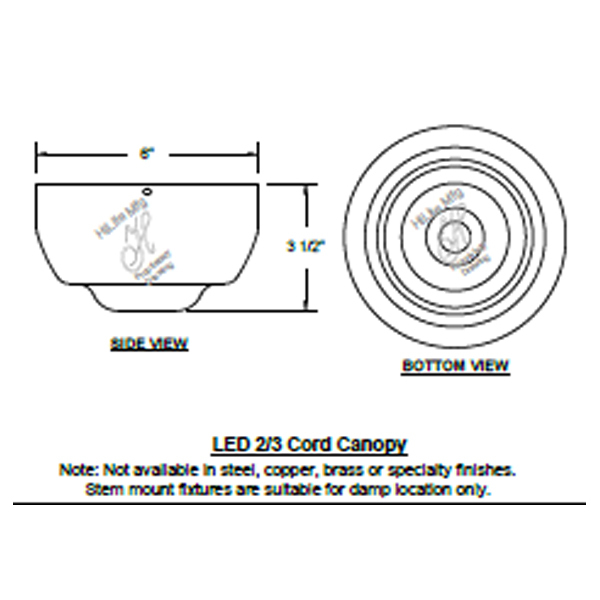 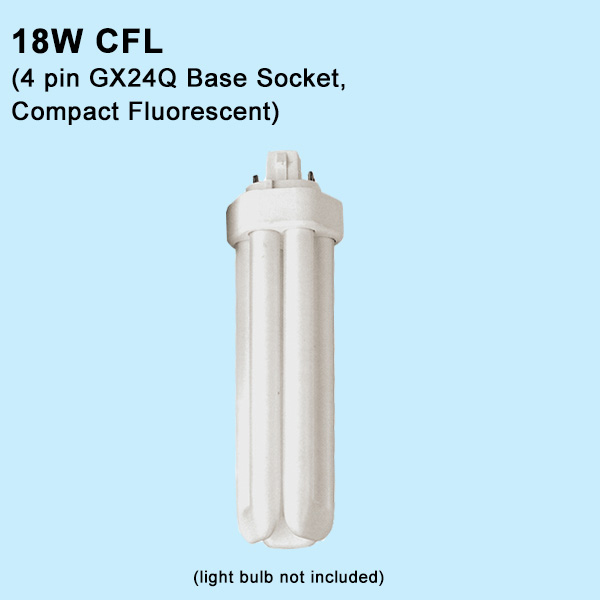 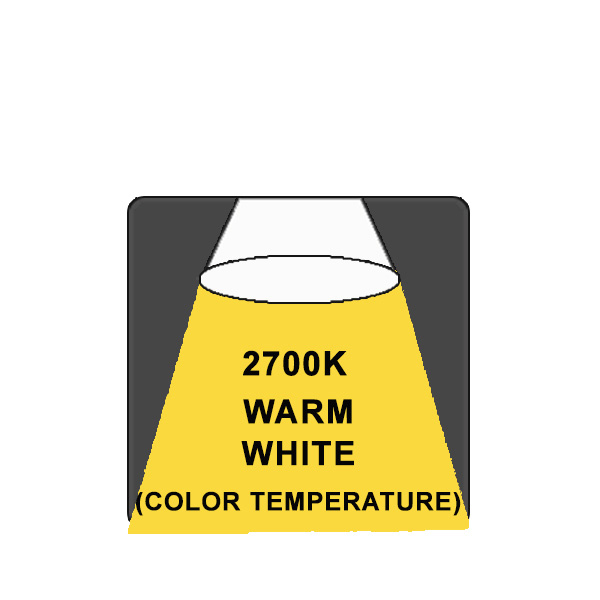 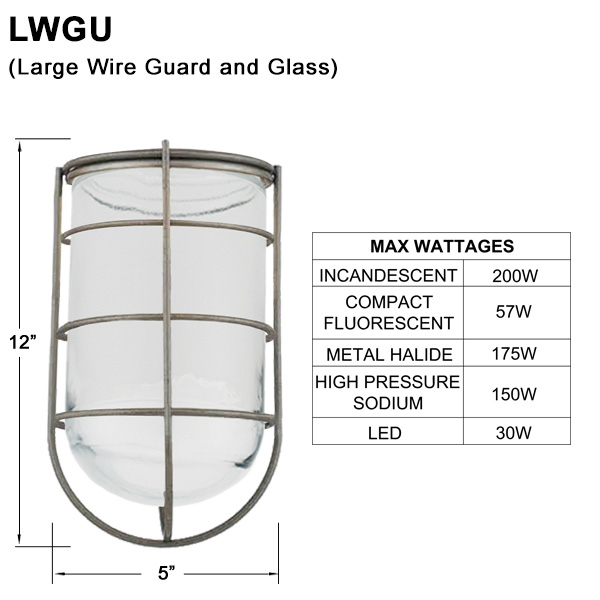 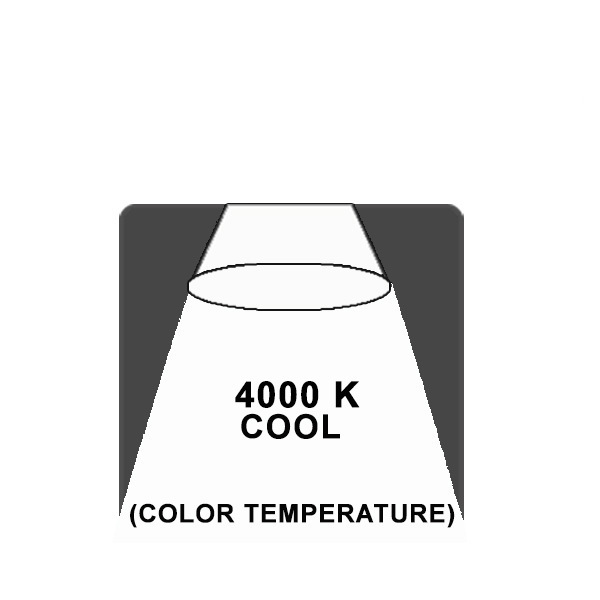 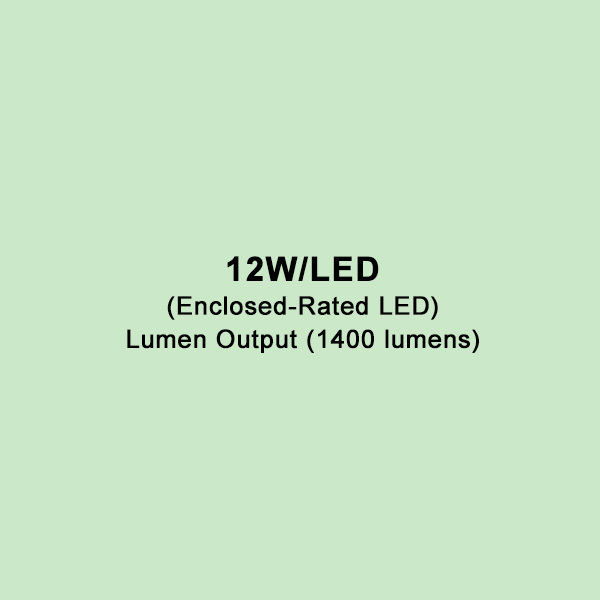 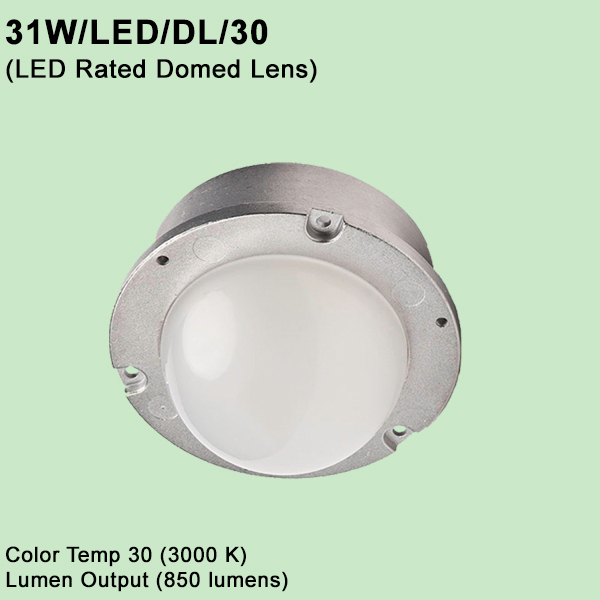 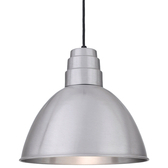 200 Watt Incandescent with Standard Medium Base Socket for shade sizes 10”, 12”, 14”, 16”, 19” & 24”. 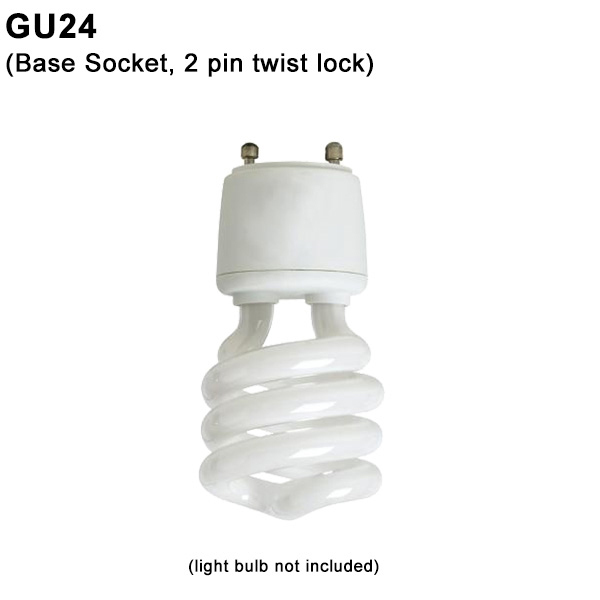 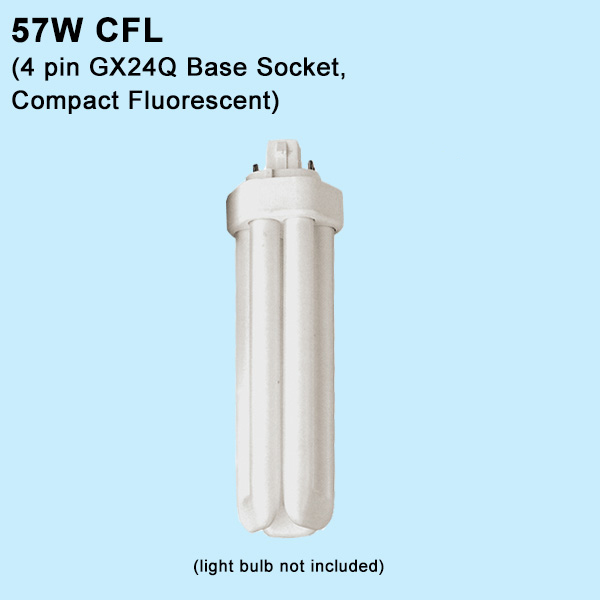 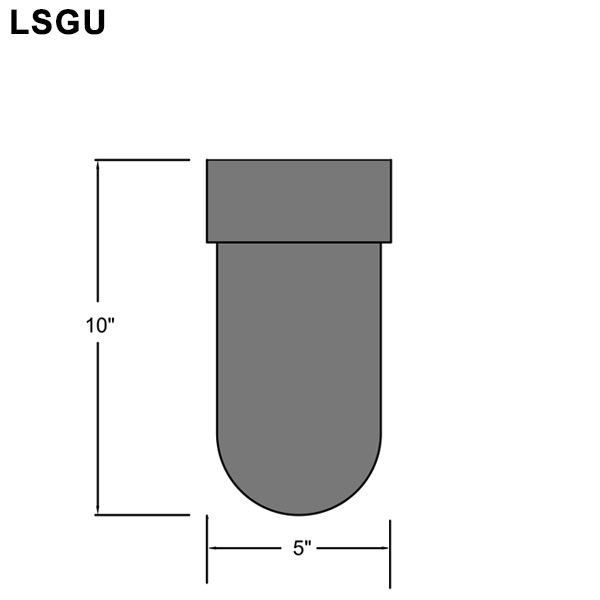 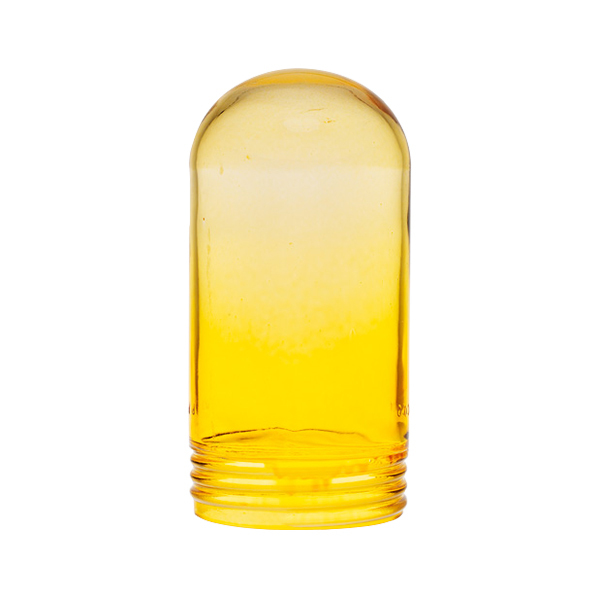 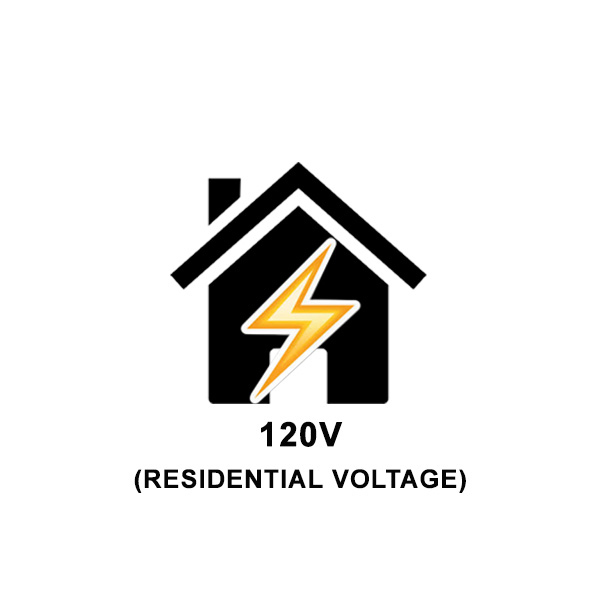 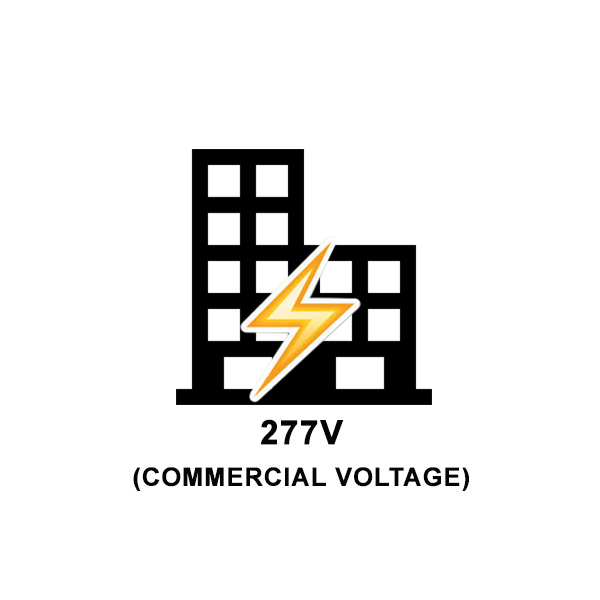 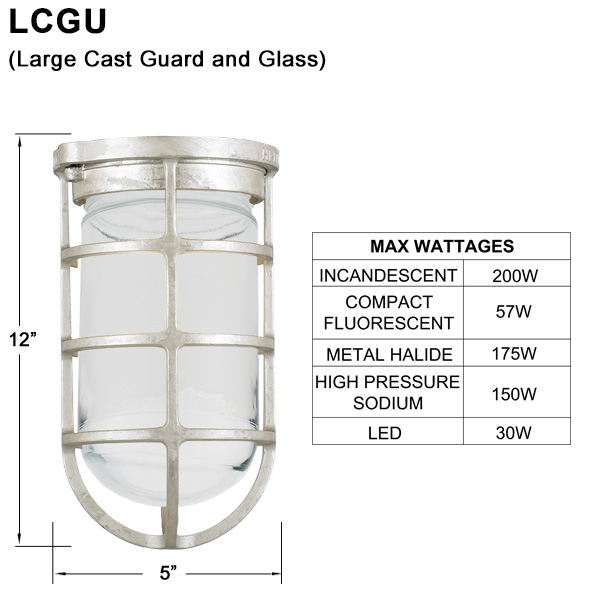 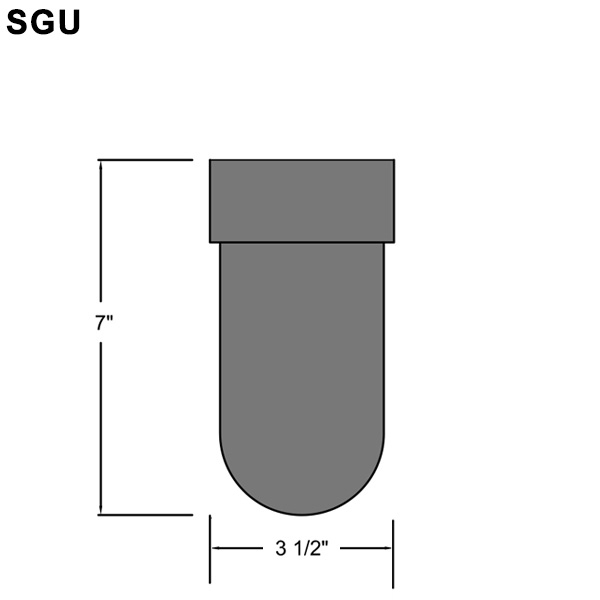 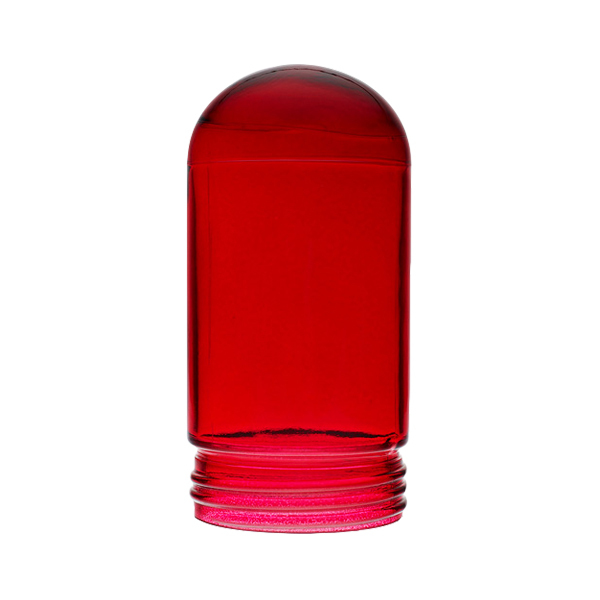 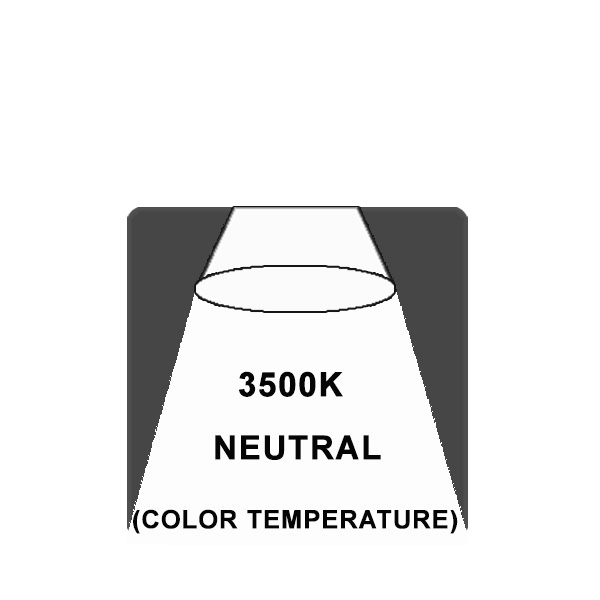 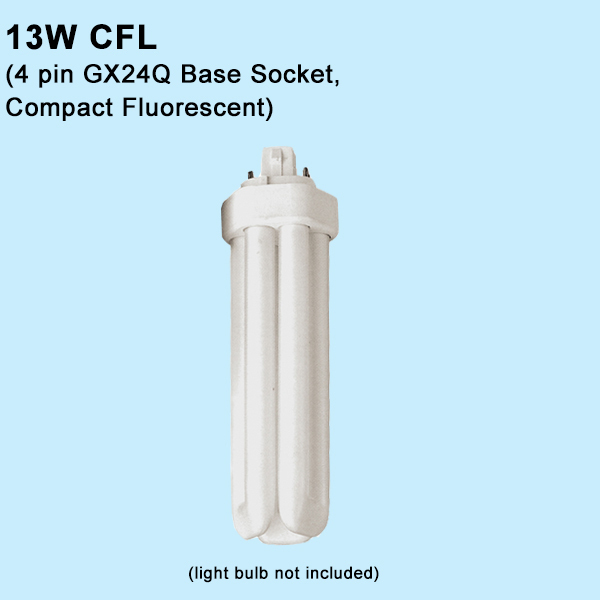 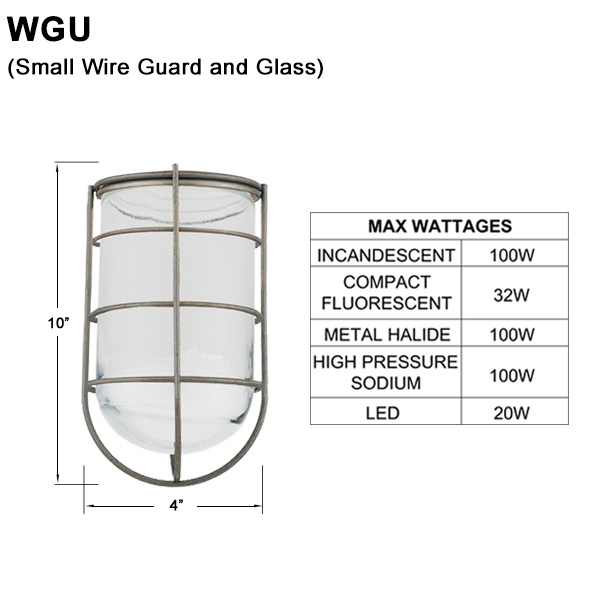 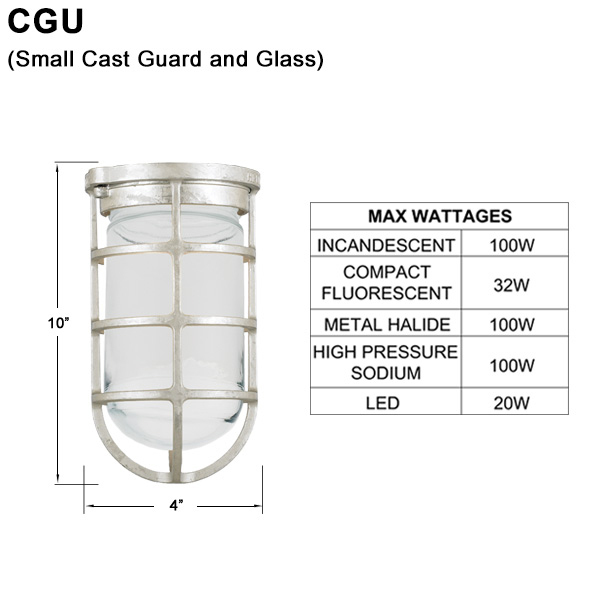 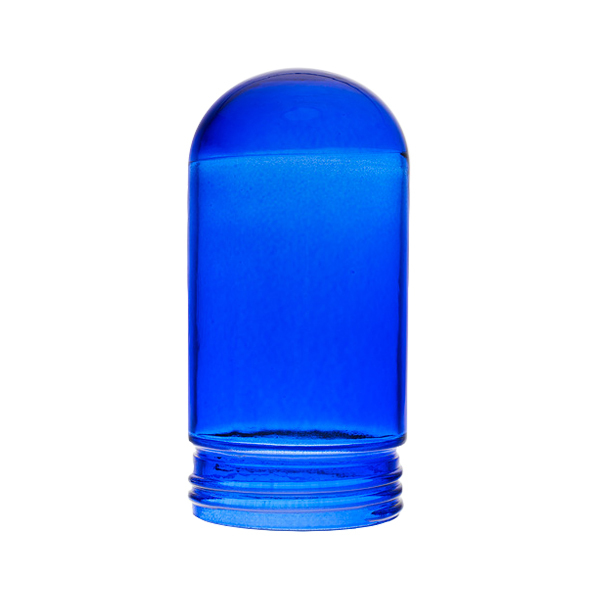 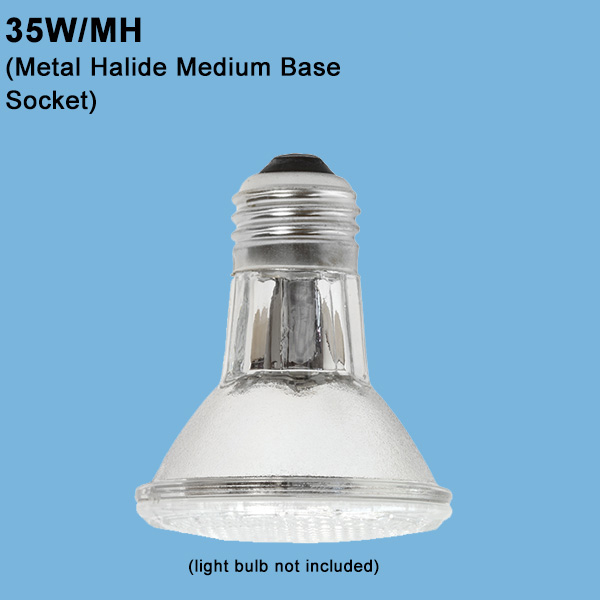 100 Watt Incandescent with Standard Medium Base Socket with CGU, WGU, or SGU. 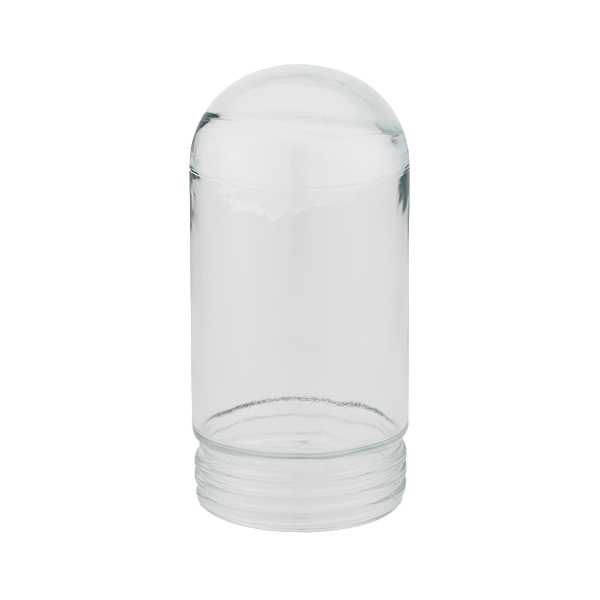 Application: UL/ETL listed for dry locations. 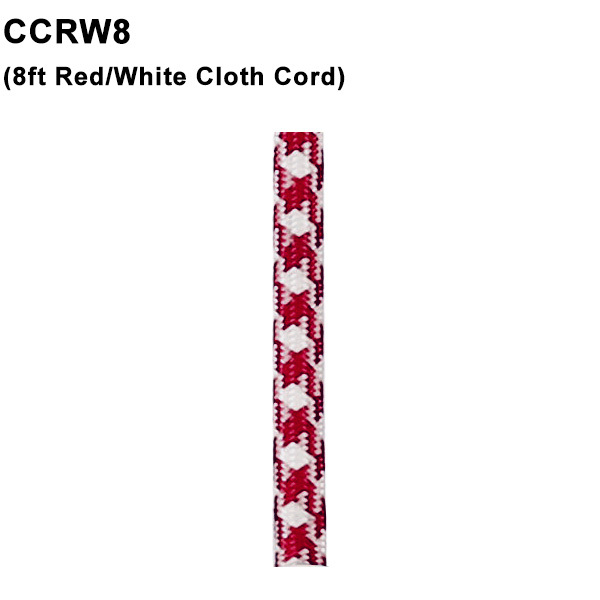 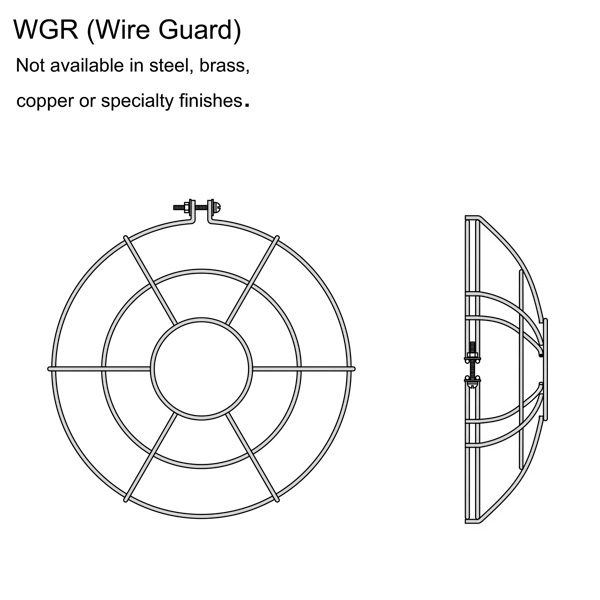 Note: Cast Guard & Glass not available with Cotton Twist Cord. 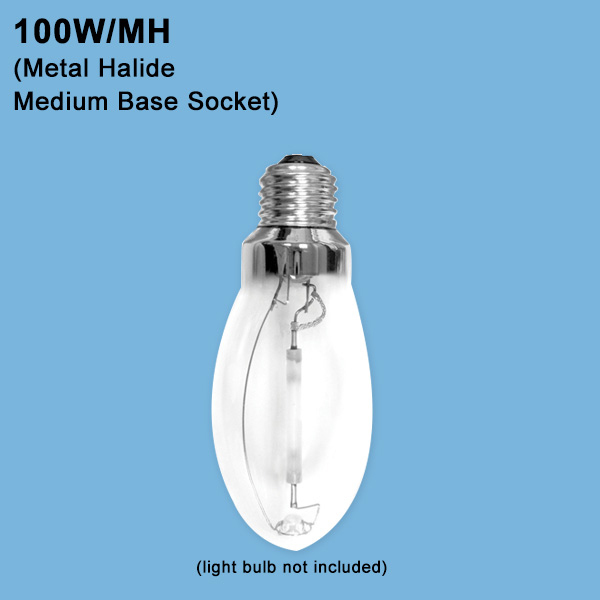 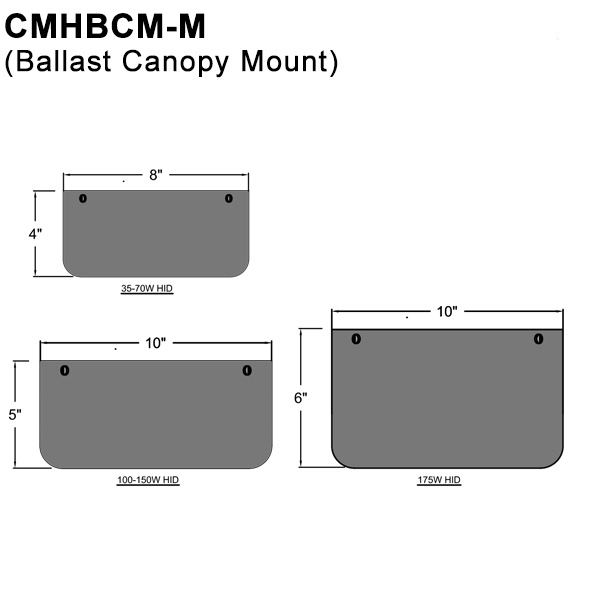 H-16007 (7" SHADE) (7" Shade) 7" 7" 7"
H-16008 (8" SHADE) (8" Shade) 8" 8" 8"
H-16110 (10" SHADE) (10" Shade) 10" 11" 10"
H-16112 (12" SHADE) (12" Shade) 12" 10.75" 12"
H-16114 (14" SHADE) (14" Shade) 14" 14" 14"
H-16116 (16" SHADE) (16" Shade) 16" 16.5" 16"
H-16118 (18" Shade) 18" 17" 18"
H-17118 (19.5" SHADE) (19.5" Shade) 19.5" 18" 19.5"
H-17124 (24" SHADE) (24" Shade) 24" 20.25" 24"